Credit reports are a standard resource for landlords to check the financial responsibility of their tenants. While they can be confusing, credit reports are very comprehensive, and can paint a very vivid picture for you. First of all, most credit reports are organized into four sections: the credit overview, the credit summary, payment history, and account history. If you are screening tenants for your rental investment property, you can use this guide to explain what’s contained in a credit report, and why it’s important. 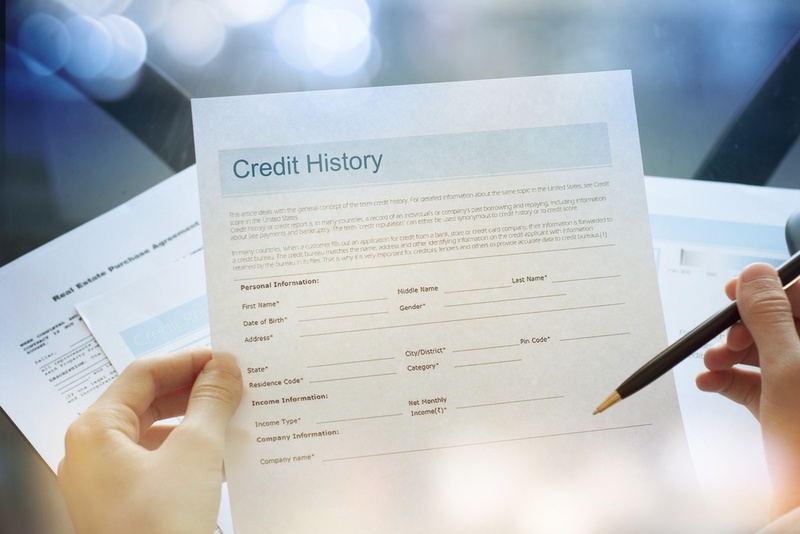 The four parts of a credit report every landlord should know. The credit overview is not the most in-depth part of the report but is still important. It is made up of a summary of any debts or credit lines the tenant may currently have. The overview also includes their credit score. The credit summary is similar to the overview but consists of a breakdown of the tenant’s monthly payments and total debt. It’s also important to note that the summary includes the tenant’s total debt ratio. As the name suggests, the credit summary “summarizes” information regarding the different types of accounts the tenant has. In this section, you can view a list of the tenant’s accounts, along with the balances, as well as the number of current and delinquent accounts under the tenant’s name. Collection Accounts – This includes outstanding accounts that have been sent to collections. The credit summary also details the number of accounts the tenant has open or closed, as well as the number of inquiries made against their credit within the past two years. Revolving Accounts – Any credit cards and lines of credit. Installment Accounts – This includes any of the tenant’s loans that are not related to real estate, such as auto or education loans. Real Estate Accounts – Any mortgages the tenant may have. Other Accounts – This includes any miscellaneous accounts that aren’t categorized. The payment history can tell you whether the tenant has made a late payment, or has had any debts sent to collections. The account history is a comprehensive display of your tenant’s payments and accounts. Here, you can view up to 25 months of payment history for each of the tenant’s account. The creditor name of the institution reporting the information. The account number associated with the account. Due to privacy issues, the account number may be scrambled or shortened. The account type. This may include revolving accounts, education loans, or auto loans. Responsibility regarding the account. This entails whether the tenant has individual or joint responsibility for the account, or if they are an authorized user. The minimum monthly payment amount the tenant is required to pay on their accounts. The date the account was opened. This includes the month and year the account was established. The last reported date the account information was updated to the credit bureau. The balance of the amount owed on the account. Credit limit or loan amount. The highest amount of credit that has ever charged on the account. This includes installment loans, but it is shown as the original loan amount. The amounts of accounts that are considered past due. Remarks or comments made by the creditor about the account. Payment statuses that include current, past due, and charge-offs. These indicate the status of the account, occasionally including previous delinquencies. Payment history of the account. This displays the monthly payment statuses since the account was established. Want to become a landlord? Get started with New Western. If you are ready to increase your cash flow and take on the role of being a landlord, New Western has the resources for you to get started. With a discounted off-market property, you can increase your profit margin and set yourself up for a profitable ROI. Get started by searching our premium properties, you’re well on your way to investment success.